Airport Hotel Guide » Travel Tips and Articles » What are the best US hotels for business travelers? 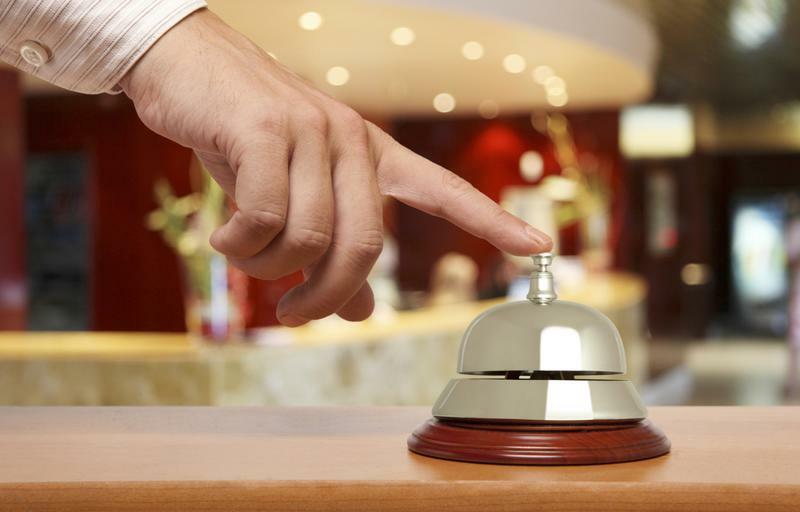 Here are some of the hotels business travelers find the most suitable to their needs. In a collaboration between Fortune and Travel + Leisure, the two publications issued a survey to experienced business travelers to find out which U.S. hotel brands they've come to trust and rely on over the years and why. Typical questions revolved around issues such as what type of amenities are the most pressing to them while they're away on travel, or what are the biggest turn-offs a hotel could do that would forever terminate their relationship as customers. The top three hotels according to the survey results were as follows: Ritz-Carlton, Luxury Collection and Kimpton. The Ritz-Carlton and Kimpton chains were applauded for their outstanding customer service, while Luxury Collection scored higher on overall design and amenities. Wireless Internet connection and customer service remain the biggest overall concerns for guests staying on business. The survey results also discovered that in-room technology and Wi-Fi connection, as well as room comfort and design, were the most valued amenities, followed by loyalty program options rounding out the top three. As for the biggest complaints, business travelers griped the most about wireless Internet speed and cost, while the overall cleanliness of the room was a distant second. As for how business travelers felt about their trips in general, the majority of the responses at 48 percent stated that they "usually enjoyed it," while 1 percent answered with "I would rather be getting a root canal." As the Ritz-Carlton was selected as the top choice hotel for business travelers, it's important to note how the upscale hotel chain has continued to become a more appealing home away from home for employees on the road. A press release from the grand opening of the Ritz-Carlton Charlotte lays out all the specific amenities the resorts feature to lure business travelers. Guests staying on business trips are allowed full access to fully-equipped private offices, which have everything from desktop computers to printers to teleconferencing equipment. They also provide guests with more unique surprises, such as packs of "small toiletry essentials" that are prepackaged in TSA approved plastic bags, so you won't get stopped through airport security. David Rothwell, general manager of the Ritz-Carlton Charlotte, says that helping business travelers be able to not sweat the small stuff is part of their overall commitment to accommodating this demographic of guests. "Knowing how stressful travel can be, we hope to lighten the load for those who conduct their business on the road and in the air," Rothwell said in a press release. "We are committed to helping guests of The Ritz-Carlton, Charlotte minimize hassle and maximize balance during their stay." "Marriott Rewards offers no blackout dates and free airline flights." While providing the utmost comfort and latest technology is certainly important for business travelers when it comes to evaluating where to stay, the way the hotels treat those who keep coming back for more is also an essential element to consider. U.S. News & World Report has conducted a list of the Best Hotel Reward Programs in the country, and it probably wasn't a surprise that Marriott International was selected as the No. 1 choice. Some of the noted advantages to signing up with the Marriott Rewards program included no blackout dates when redeeming a free night, rewards being able to be used on airline flights and rental cars as well as having more than 3,800 participating hotels in both the U.S. as well as around the world. Rounding out the top three were Wyndham Hotel & Resorts and Best Western, respectively. Marriott International is no stranger to being awarded for its rewards program, as it was recently voted the top hotel loyalty program for the eighth year in a row by the Freddie Awards. Upon receiving the honor, Thom Kozik, vice president of Loyalty at Marriott International, says that the company is only dedicated to improving upon rewarding loyal guests in the future. "Receiving a Freddie is one of the highest compliments in the hospitality industry and we are honored to, once again, be awarded the Hotel Program of the Year," Kozik said in a statement. "Our members come first and Marriott Rewards will continually evolve to enhance their travel experience during and beyond the hotel stay."